Scott Laboratory Solutions is now offering laboratory stools. We have many different applications ranging from office seating to industrial and medical seating solutions. Built with comfort in mind, our laboratory stools offer lumbar support and are available in a variety of styles. Our seating catalog is also available online. Click here to view our line of stools and chairs. We offer chairs in multiple different heights, ranging from desk height, to medium and high bench heights. Our laboratory stools are also available with wheels for greater mobility. 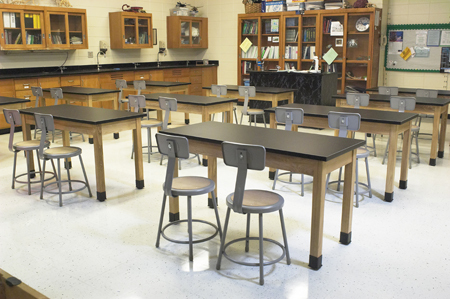 Contact Scott Labs today to get a personalized quote for your chemical or science lab seating solutions. We’re ready to take your call and answer your questions! Scott Laboratory Solutions offers a multitude of seating options for your laboratory. From stools to high back chairs, we have it all. Contact us today to learn more about how we can help solve your laboratory stool requirements.